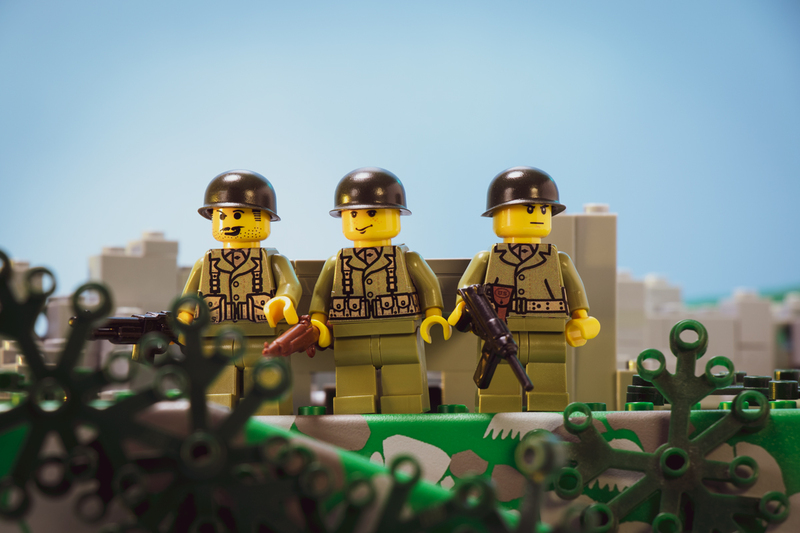 Enhance your World War II minifigures and displays with a full squad of detailed American soldiers. This pack includes outfitting for one officer, two BAR rifleman, and six squad members in olive green. Artwork for the sticker pack is based on standard equipment commonly seen during the war.